You’ve spent years taking care of your smile. You go to dental checkups every six months, brush twice a day, and follow all the directives from your dentist. Yet somehow, your family dentist in Wylie says you’ve got a cavity after your most recent visit. How could this have happened? Unfortunately, even the best brushing routines can still miss the hard to reach spots of the mouth such as the back teeth. This could prove especially difficult for children who are just learning how to brush (and eating plenty of sweets on top of that.) Let your family dentist detail the benefits of dental sealants. Dental sealants are thin plastic coatings that are painted on the chewing surfaces of your back teeth. The process is virtually painless and very simple to perform. To prep the tooth, it is cleaned and dried with cotton before being applied with a solution that makes it rough. This makes it easier for the sealant to stick to. The tooth is then rinsed and dried again before the sealant is painted on. Finally, the sealant hardens in seconds leaving behind a shield over your natural tooth. How Do Dental Sealants Protect My Natural Teeth? The number one purpose of dental sealants is to reduce the likelihood of tooth decay. Back teeth are notoriously difficult to clean and can break down more easily than other teeth. Food debris can easily get stuck in the small pits and grooves back teeth have. If this food remains, it can accelerate tooth decay in the patient. By applying an extra shield over already healthy teeth, it acts as an added barrier to bacteria and food particles. According to the National Institute of Dental and Craniofacial Research, children should get sealants on their permanent teeth as soon as they erupt to combat tooth decay. 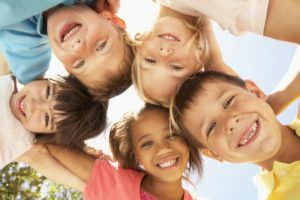 Children’s first molars typically come between the ages of 5 and 7 years of age, while the second permanent molars come in between 11 and 14 years of age. While sealants are meant for molars, it may be needed for other teeth with similar characteristics as well. Children tend to eat sweets more often than your typical adult who tries to be more responsible, which is why children are so much more vulnerable to tooth decay at a young age. Dental sealants are designed to last many years, so they are often seen as a worthy investment if it means reduced costs for you and less discomfort for you children in the future. Keep your children’s teeth safe from plaque and tooth decay. Schedule an appointment with your family dentist in Wylie today to learn more about dental sealants! Dr. Travis Rottman earned his undergraduate degree at Baylor University followed by his doctor of dental surgery from the Texas A&M Baylor College of Dentistry. His practice offers dental sealants as a form of protection from decay-causing bacteria, plaque, and tartar in patients of all ages. To learn more about him and his array of treatments, visit his website or contact him at (972) 848-0073.